So far for me, it’s been an interesting 18 years in the field of online and digital learning, and I’ve been lucky enough to have the opportunity to attend and present at many educational technology conferences over the years. My areas of research within the field of online learning tend to focus on faculty support, pedagogical issues, and student learning outcomes, and are, by nature, heavy in data analytics. Early in my career, I found that the campuses where I served were excelling in online learning and were early adopters for both educational technologies and best practice models. Our early adoption strategy put my teams and me in the position to readily share our lessons learned from implementations such as campus-wide initiatives in faculty trainings and enterprise-level adoption of technology tools. We were also able to share best practice comparisons from the field based on what worked well, along with what we learned when projects didn’t go as planned. I continue to try to stay current with knowledge of the practices at my peer and aspirant campuses, hoping to find anecdotes to share with my own campus to implement and improve our services. Attending local, regional, and eventually national and international educational technology conferences gave me the opportunity to meet, connect, share ideas, and even develop collaborative research with colleagues from around the world. In the sessions at my earliest OLC (Sloan-C) conferences, I found there was less time spent sitting in a quiet room with a lecture-driven presenter walking me through “steps number 1-20” of how to install and use a technology. Rather, “my people” were discussing the Student Learning Outcomes (SLOs) achieved by the use of the tools; the resulting increased student engagement, and the improvements in faculty members’ online course development—and even more exciting—the interdepartmental and inter-college collaborations that were springing up and helping each campus, faculty member, instructional designer, and administrator to make rapid strides forward that they simply could not have made as efficiently or successfully without this collaboration. I found that when presenting at these conferences, I had to adapt my approach in order to teach within my allotted conference times and in the formats being asked of me as a presenter. This constraint pushed me, and other presenters, to grow and step outside of the narrow lecturer box. As presenters, we had to practice what we were preaching by doing what the research was showing to be most effective: interact with each other. 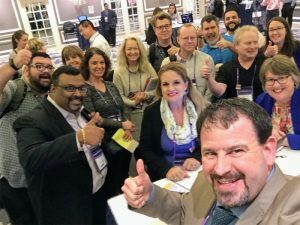 The OLC conferences quickly became my favorites, and I came back from these events enlivened, enlightened, and more connected than when I had arrived—for every single event! While some smaller conferences do allow for more intimate settings, large conferences (like OLC Accelerate!) with carefully crafted tracks still achieve the intimacy, so take advantage of the best of both worlds. While not always a negative, some smaller conferences offered lesser-known keynote speakers (most that I didn’t know at all) who were typically motivational/entertainment-driven. OLC’s large conferences bring keynoters who are demonstrated leaders in their respective fields and who provide real “substance” that I can immediately implement into my own educational arena. Look for larger edtech conferences offering clear tracks, descriptions, and keywords that identify topics and challenges of interest and need in your area! Attend educational technology conferences with clear tracks that identify topics and challenges of interest and need in your area, and preferably even keywords! Some of the recent ed tech conferences I attended may have had a theme or mission, but didn’t specify keywords, identify problems that would be solved during the session, or outline well-developed tracks. The result was that the overall quality of the presentations was not as closely monitored; the topics weren’t as well developed; and many times, the relationship of the topic to the theme/track was unclear and/or did not match the promoted presentation title. Attend educational technology conferences with vendor fairs or exhibit halls, and if possible, conferences that allow vendors to demo products at the conference in a space where attendees may browse through as they choose. Colleagues of mine have been less excited about this aspect at times, but I’ve found so many truly great new potential solutions at recent conferences simply from interacting with the vendors on-site. Attend conferences that have social networking events built into their conference schedule—preferably for free! Take advantage of these by bringing along your business card, asking others more about their own initiatives, and making contacts (and new friends!) to collaborate with both at the conference and afterwards. If you cannot make it in person, you can attend many great sessions. Even if you do make it in person, conferences with a strong virtual presence typically record many of their featured sessions for you. Have you ever had a tough time choosing between two concurrent sessions? I have. My solution is to attend the one not being recorded and watch the other one later—the best of both worlds. Social presence at our edtech conferences has also grown far outside of just live-streaming sessions! Look for those conferences that provide strong social media and web presence before the conference begins as well as during the conference itself. You’ll stay up-to-date on important conference changes while you’re on-site, but I’ve found that these features are also accurate indicators that this organization is active in the field and will continue to be active after the conference is over. 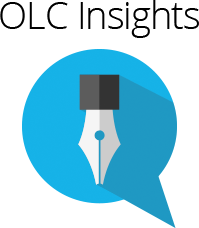 One of my favorite sites for professional networking is the OLC LinkedIn page, where I can read recent posts about conferences, workshops, and publications and share those out with colleagues. A final but critical tip that I’ve learned over the years is to step outside the role of attendee and present at these edtech conferences. Another opportunity is to volunteer in roles such as a session moderator, a proposal reviewer, a guide/greeter, or even a planning or steering committee member. Being involved in these capacities has been transformational for me in so many ways—both professionally and personally. While serving as a volunteer with the OLC group and being involved in planning the conferences, it has become clear to me that this group truly supports research topics that I pursue myself, and their motivation parallels my own in seeking to strengthen, support, and expand the foundational knowledge in the field of digital and online learning. These people are truly “my people,” and serving in this capacity has enabled me to form rewarding professional connections and to hone my own personal and professional skills relating to planning, coordinating, peer reviewing, and collaboration. I feel that this final recommendation of service to the industry best captures the reason to attend our OLC conferences, and in particular, the upcoming OLC Accelerate conference in Orlando in November, should be THE conference you will attend! Sign up for email alerts about our upcoming OLC Accelerate conference in Orlando! 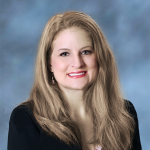 Sherri Restauri serves as the Director of Online Learning at Coastal Carolina University, and as a Teaching Associate for the Department of Psychology, where she oversees the support and development of all online and hybrid courses and programs. She also leads innovative, faculty-focused course development and enhancement grant programs for online and hybrid courses. Coastal Carolina University is excited to be launching their first OER initiative this summer through these grant programs.